Mr. Jemison writes to Martha to express gratitude for her hospitality in the visit. 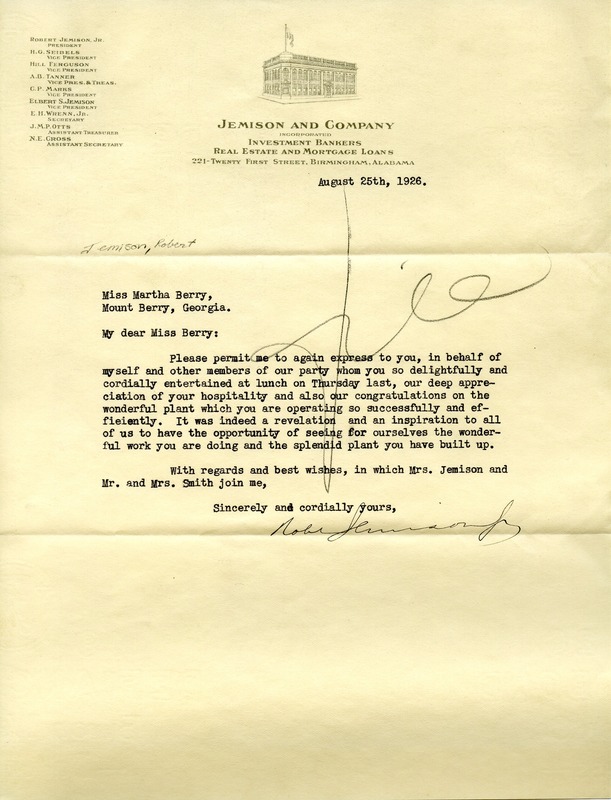 Robert Jemison Jr., “Letter to Martha Berry from Robert Jemison.” Martha Berry Digital Archive. Eds. Schlitz, Stephanie A., Aaron Jackson, et al. Mount Berry: Berry College, 2011. accessed April 22, 2019, https://mbda.berry.edu/items/show/576.